Good morning my sweet friends! I hope ALLLL of you enjoy our "3-D Wednesdays" as much as we do! Today I have a super sweet & EASY treat for you. 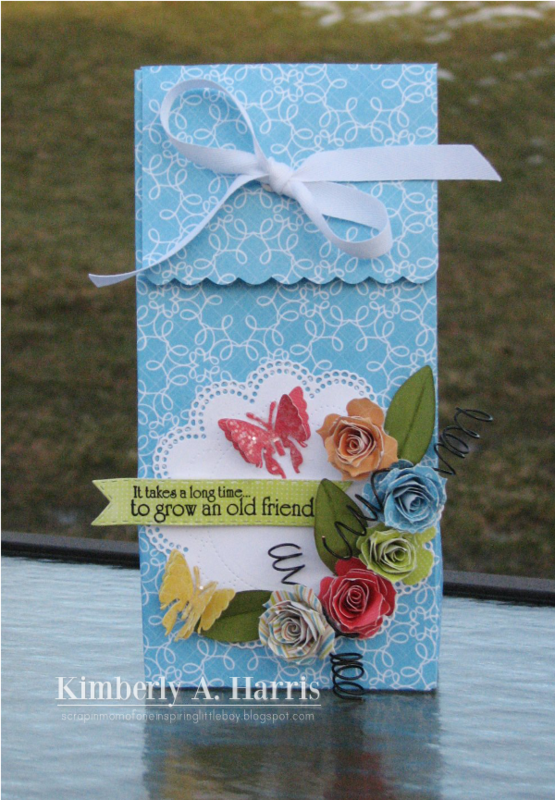 I do have to say that I am falling in love w/my "Treat Slider Die" MORE & MORE EVERYDAY! The BEST part that I enjoy about it is that you can make the CUTEST treat in NO TIME at all. These are all so adorable! I can't stop playing with my Slider box die!! Fantastic idea Miss Emma!! Great designs DT! another awesome day of projects by everyone!!! So much creativity!!! Gorgeous, Emma! 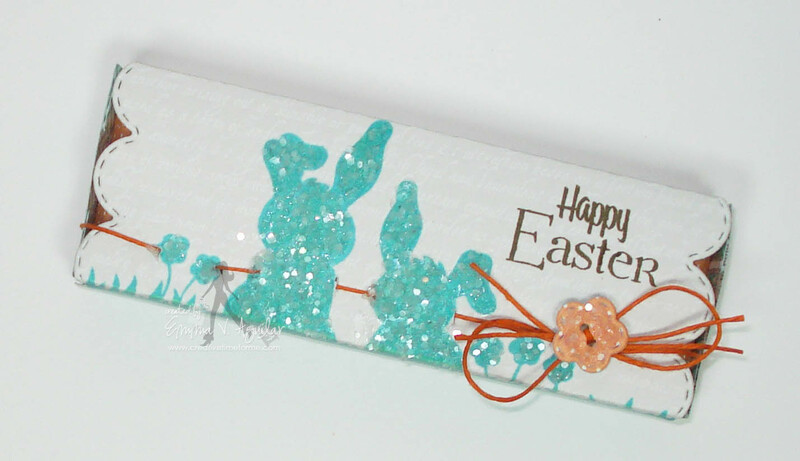 I love the sparkly teal bunnies!!! Wowzers....these projects are AMAZING!!! I love all the inspiration and so excited to have some free time later to play in my craft room! Great job ladies!!!! 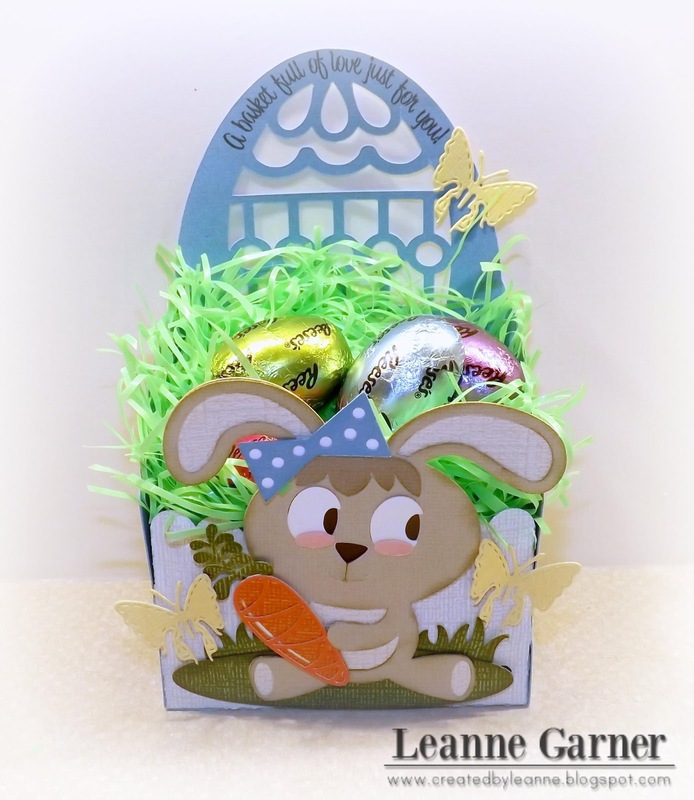 All the projects are fab...love those glittered bunnies Emma!!!! This is super cute Emma, I love the stamp and the glitz. 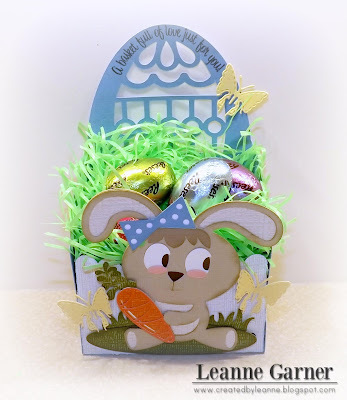 very cute Emma, I'm going to do something like this for the grandkids for Easter. Hey Emma are you going to be at the Expo this weekend? Thanks for the great video Emma! 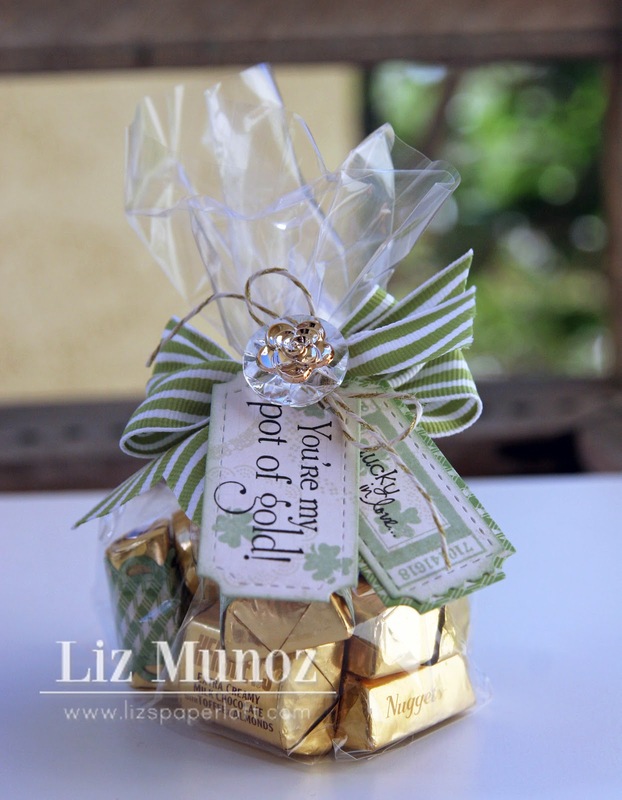 Love your project as well as what the design team came up with. Just received my Treat Slider die in the mail. Cannot wait to play! Your video is awesome love your project. You sure are talented and I think it's amazing how you keep coming up with one new idea after another yep you are amazing. Gorgeous!!!! You know...I got my package of goodies this week. It didn't meet my expectations. IT EXCEEDED!!!!!!!! Clever idea to stitch your twine behind your stamped and glittered bunnies...great idea! You and your Design Team had great projects today. 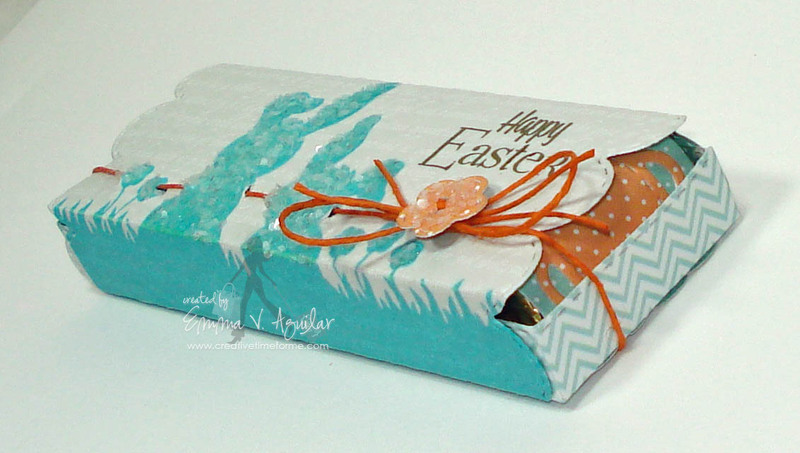 Super cute little Easter Treat Box! Love how you stamped the image and the used the chunky glitter! So adorable! Love all the projects! Thanks for sharing! Oh Emma ~ this turned out so STINKING CUTE! I LOVE that you used the bunny silhoutte stamp for this!! That color ink with the sparkle looks so AMAZING together! 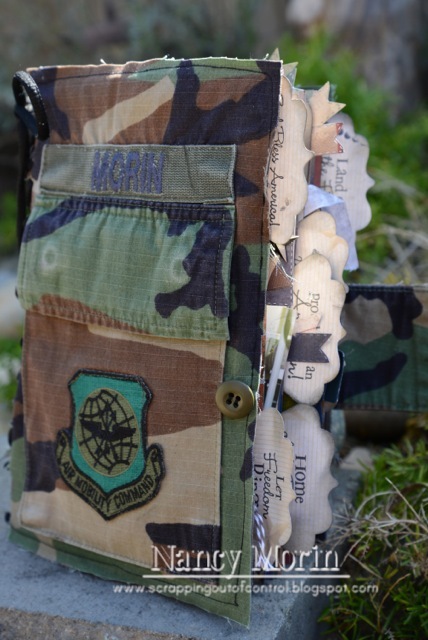 Okay putting holes around the bunnies to attch the hemp ~ CLEVER! 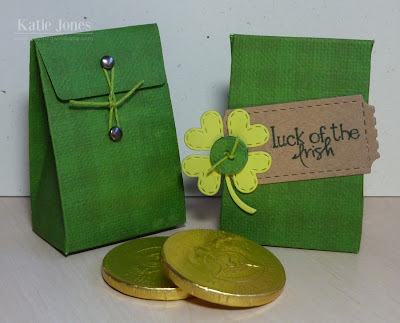 I LOVE this die ~ so many way to embellish it and do with it! Again everyone's projects just ROCKED!